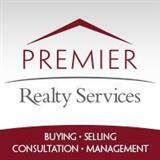 Premier Realty Services represents sellers of residential and commercial real estate in all types of transactions. Our experienced agents will navigate the market on your behalf and find the best deal possible for your property. We are dedicated to ensuring you earn the return you desire, without the pitfalls of a long listing process. Thinking about selling your home or real estate in our area? No matter which market you're in, you can use the marketing programs and experience of a qualified real estate agent at Premier Realty Services to help sell your home quickly and at the right price. Learn more about the selling process, see information about recent home sales in our area or contact me to get started today! List your home with us and receive a Free Home Staging Consultation from an interior design consultant to add vital character and enhance the value of your home!